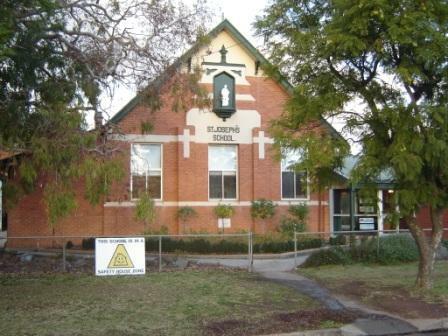 St Joseph’s is a small school of around 73 students. This population is made up of boys and girls from Finley, N.S.W as well as surrounding rural areas. The school was founded in 1915 by the Sisters of Mercy and nurtures a strong tradition of parent and community involvement. We now have a modern and well equipped facility that currently houses 4 classes ranging from Kinder to Year 6. In 2010 the completion of the Building Education Revolution saw the opening of our new 21st century learning space, modern library and COLA (covered outdoor learning area). ​Our students learning is supported by modern technology with each class housing six desktops. The students also access two banks of laptops to create an environment where students have one to one access to meet their learning needs. We have recently purchased 4 iPads per class to ensure that the students are fluently engaging with current technology. ​Our teachers are most dedicated and skilled and work to serve the needs of our children who are the greatest asset of St. Joseph’s School.